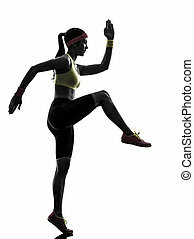 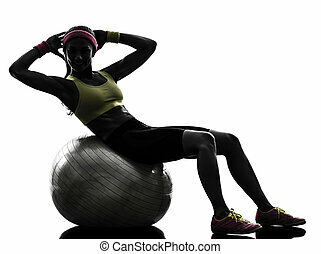 Woman exercising fitness ball workout silhouette. 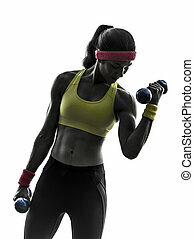 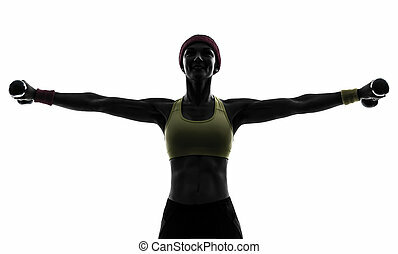 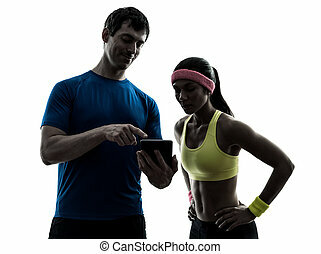 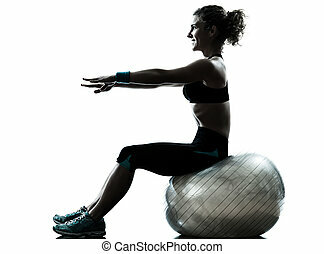 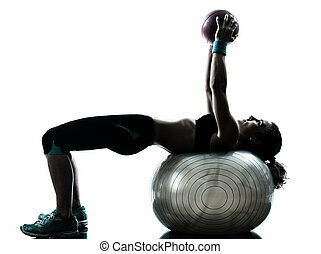 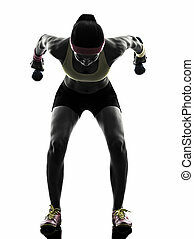 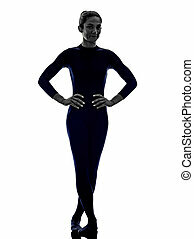 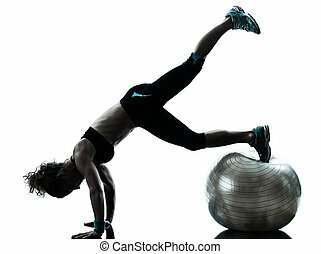 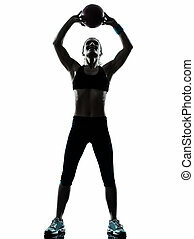 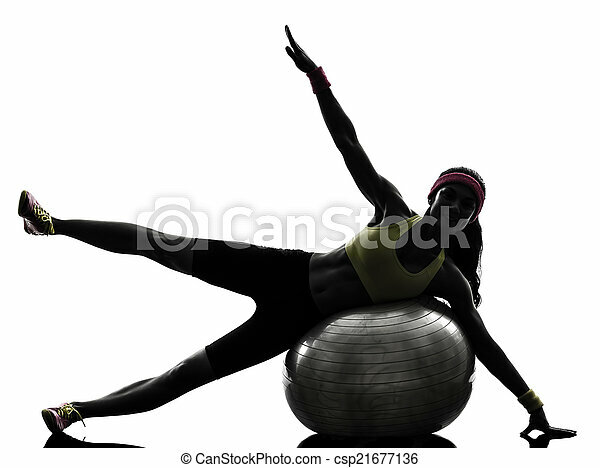 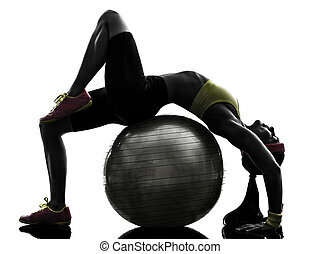 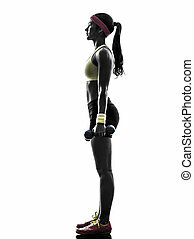 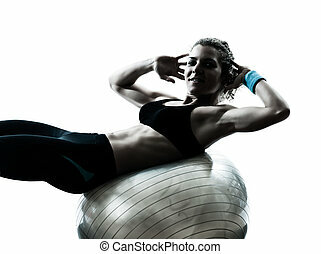 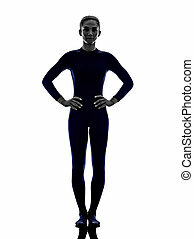 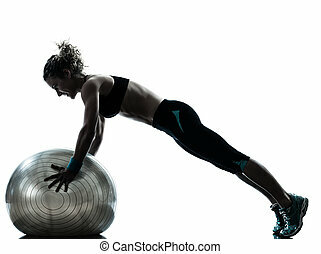 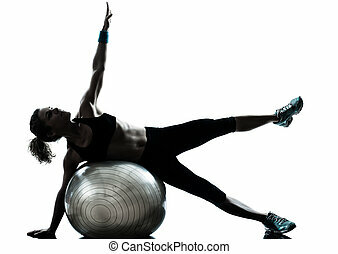 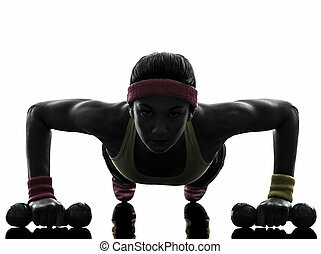 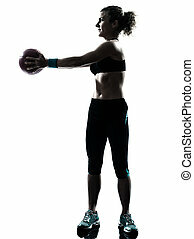 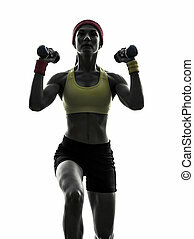 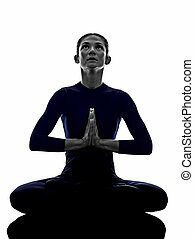 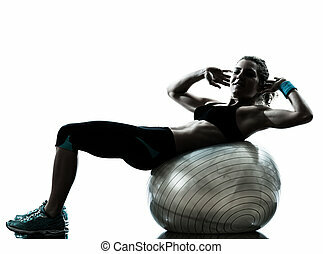 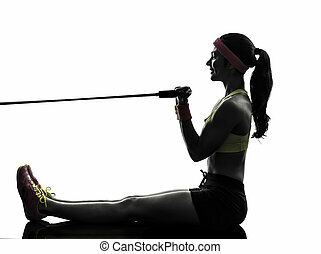 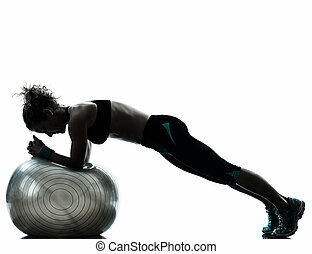 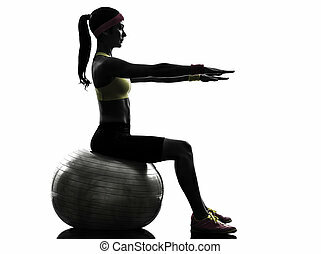 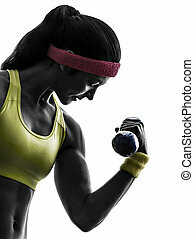 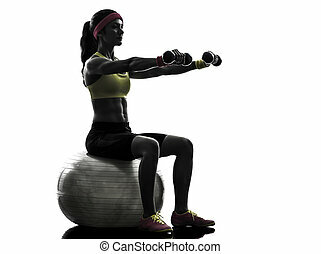 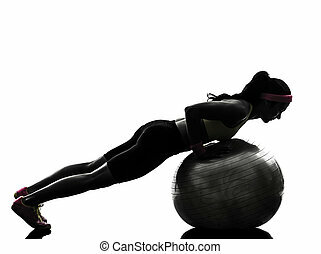 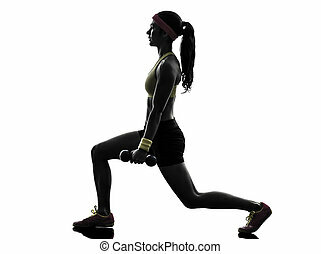 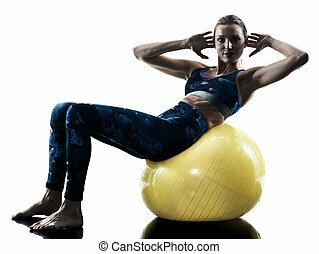 One woman exercising fitness workout on fitness ball in silhouette on white background. 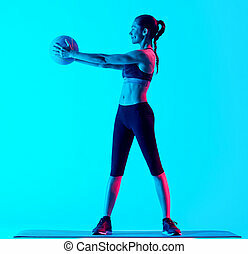 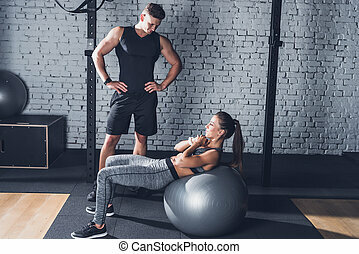 Fitness woman exercising with ball indoors.